Jewelry Warehouse is the Official Jeweler of Miss South Carolina! We are the Official Jeweler of Miss South Carolina! 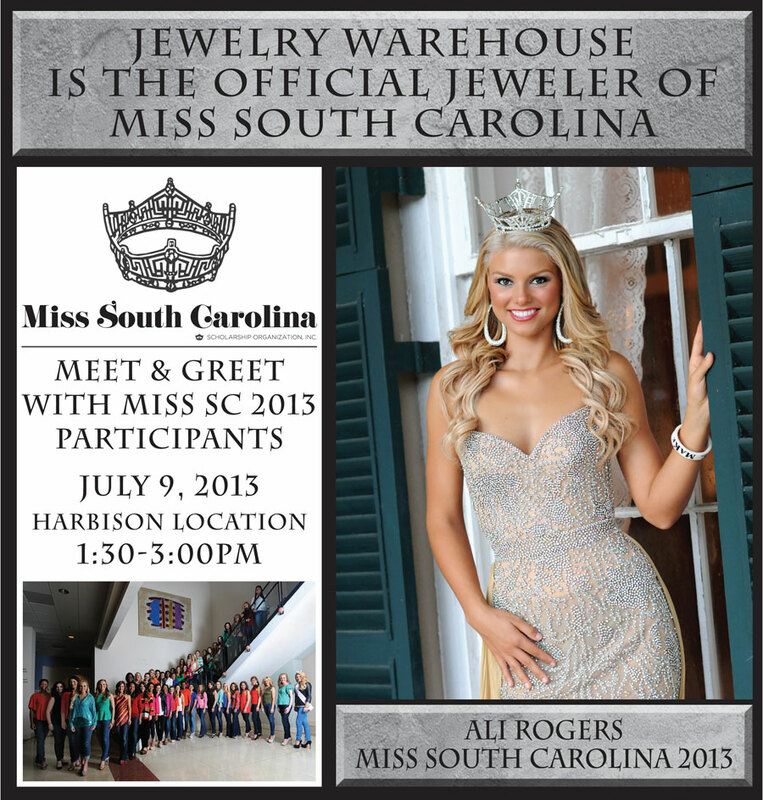 Stop by Jewelry Warehouse in Harbison tomorrow from 1:30-3, for a meet and greet of Miss SC 2013 participants! Our Harbison store is located at 1270 Bower Parkway, in Columbia. This entry was posted in Jewelry and tagged Jewelry, jewelry for miss sc, jewelry warehouse, miss sc, miss south carolina, official jeweler of miss south carolina. Bookmark the permalink.